Though it’s true I’m not the biggest fan of packet mixes (they aren’t that cheap really, and often don’t taste that great), this Southern Fried Chicken coating mix is simply awesome. It doesn’t have that hideous packet mix ‘fake’ flavour, it goes a surprisingly long way and best of all, it’s one of the fastest ways get a decent dinner done at the drop of a hat. I tend to keep multiple packets of this in reserve for when the day ends much more crazily than was first planned or when the opportunity to have people over arises out of the blue. Use this shaker chicken mix on any type of chicken you like – drumsticks for affordability – wings for hot finger food that pleases a crowd – or thighs and breasts for a quick meat and three veg dinner. Simply coat chicken pieces in the mixture and roast in a very hot oven in a roasting dish splashed with olive oil and/or butter, at around 200-220 degrees, making sure you turn them before they burn. The chicken should develop a lovely brown stickiness all over. 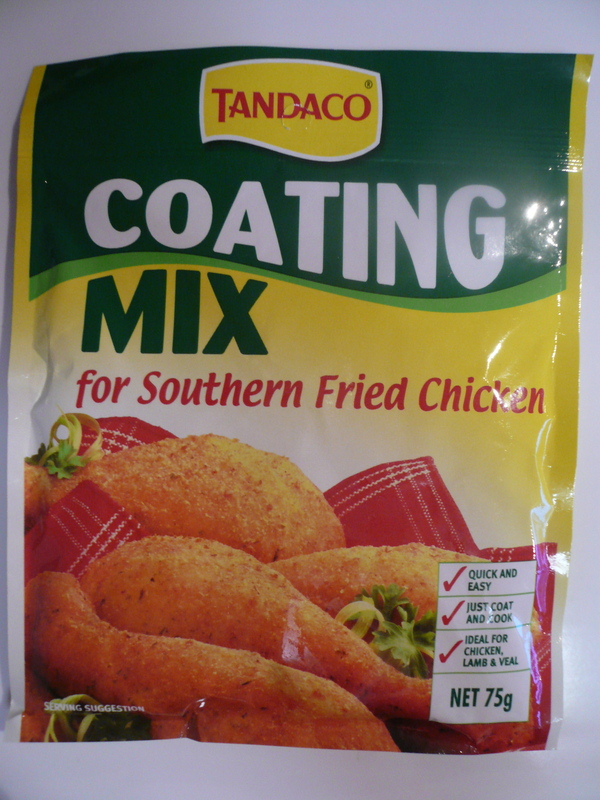 1 packet of this Southern Fried Chicken coating does a bit more than 1kg chicken. Enjoy! Awesome indeed! I tired it on drumsticks for the first time tonight and it was so easy and good. Thanks for the tip!